The conclusion of the 15-year operation follows a landmark election that resulted in the country’s first transfer of power from one elected president to another in 70 years. The United Nations, UN has ended its peace keeping operations in Liberia. 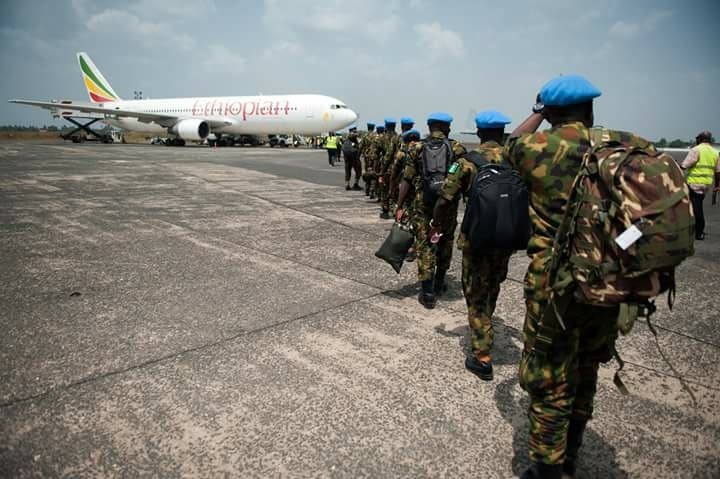 On Friday, the UN Mission in Liberia came to an end, 15 years after it mobilized security forces to support peace efforts in the one-time war-torn country. This comes barely 72 hours after US President Donald Trump asked Liberians in America to go home since peace has returned to their country. The UN said the peacekeepers were departing a “stable and grateful Liberia” as peacekeeping mission in the country formally ceased operations on Friday. The UN said it has helped Liberia’s transition from ravaging civil war to a hopeful era of peace. The newly elected President, George Weah, spoke for many Liberians as he thanked the UN for helping to make that possible. “In our darkest days, the UN stood with us,” Weah said in his inaugural address in January. Weah, a former football star, won the presidency in a runoff election in December, succeeding Ellen Johnson-Sirleaf, who had served since 2006. Speaking at an event recently in Monrovia to mark the completion of the peacekeeping mission, Weah pledged that the good work of the UN would not be forgotten. “We will not fight again, we promise you,” the new president said.